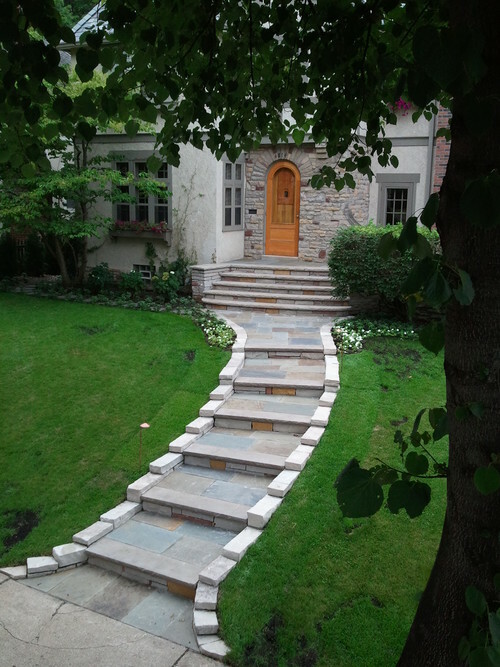 Natural stone walkways are a great way to provide character and interest to your home. Whether you want a formal, stately walkway or a whimsical, organic walkway, natural stone can help add value to your home. 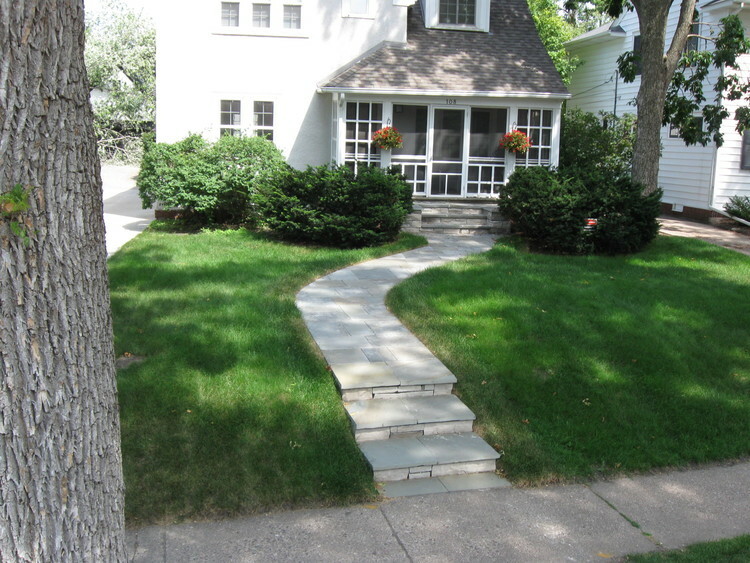 Here are just few ideas of the possible options for adding value to your home with a natural stone walkway. 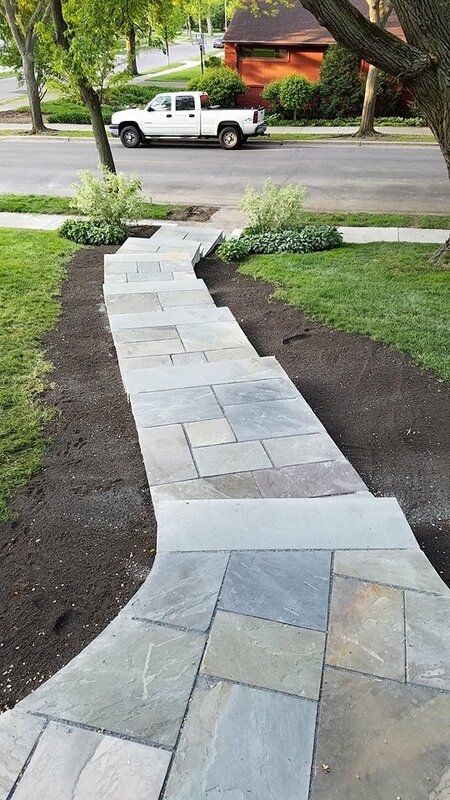 These beautiful natural stone walkways, with pristine, straight cuts, add elegance and sophistication to your home while creating a beautiful, but functional walkway to your home. 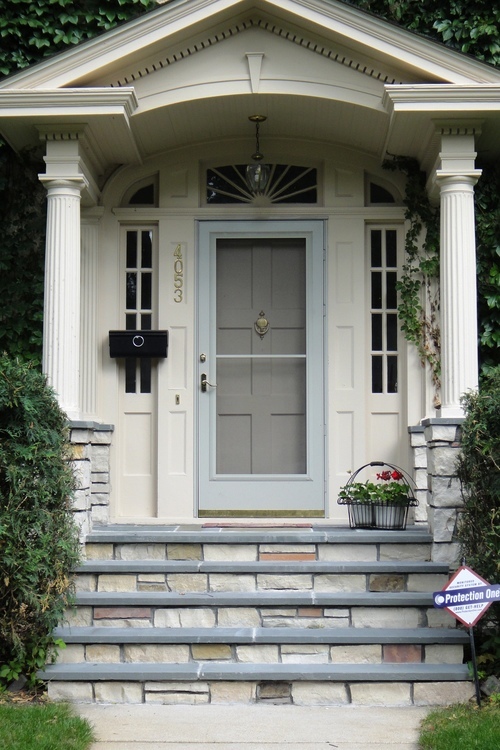 These natural stone walkways will subtly draw attention to your home exterior focal piece, the front door—creating a welcoming feeling for guests or potential home buyers! 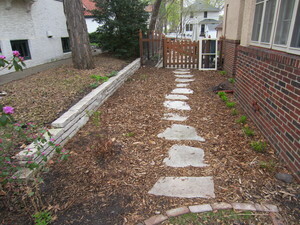 If you prefer a more organic look, you could add a natural floating path. These free standing stepping stones create a sense of whimsy and interest that add character to any home. 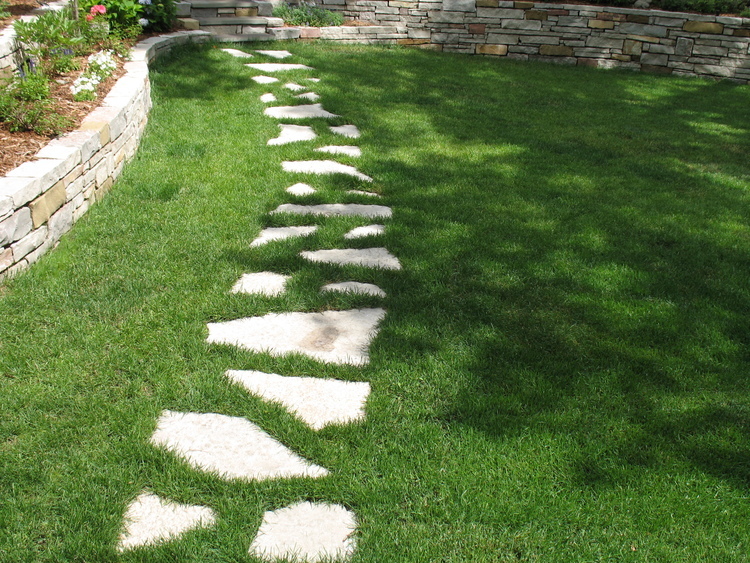 These natural stone walkways provide direction, and structure you your yard while still feeling light and airy. Plus using less stone means you’ll save a little money too! Do you have something completely unique and different in mind? 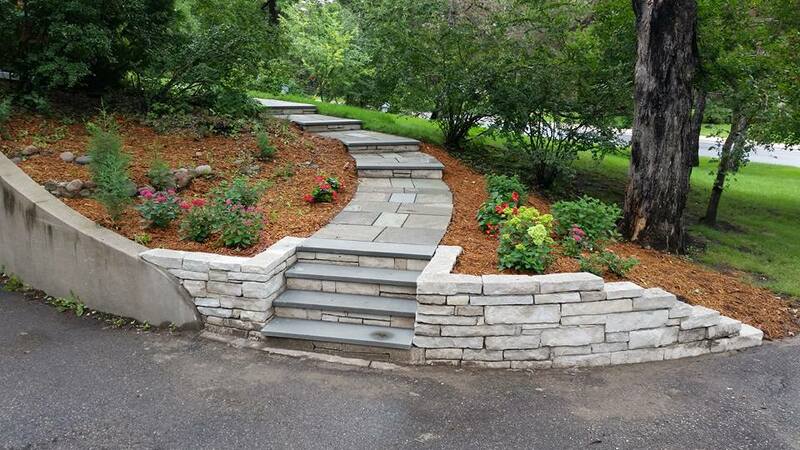 A custom walkway can add a special touch to your home that will separate it from the pack! We love working with clients to make their dream stone scape become a reality. If you have a project or just an idea, we’d love to talk to you, contact us to get your free estimate today! The Twin Cities single-family home sales market hit a 10-year high in June 2015 according to the Minneapolis Area Association of Realtors. With this in mind, it’s a great time to think about adding value to your home with natural stone masonry. 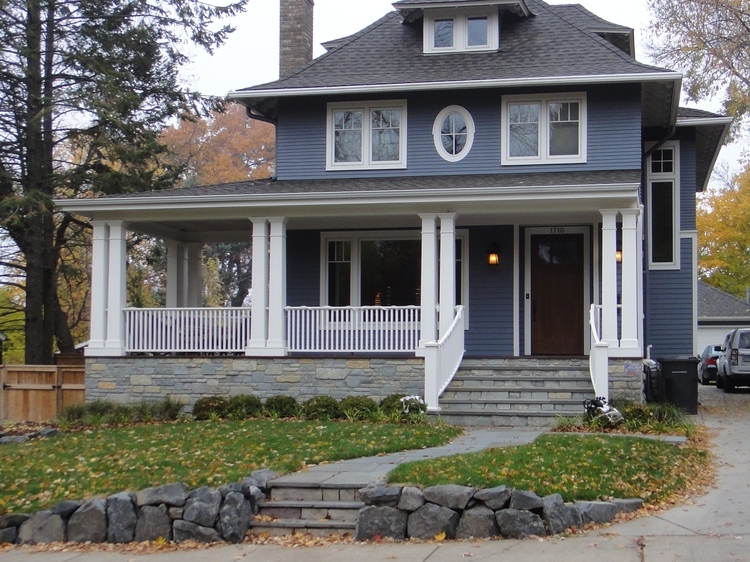 Here are 3 beautiful home exterior design that will inspire you to start your next home improvement project. A natural stone feature wall is a great way to add visual interest and structure to your home at the same time. 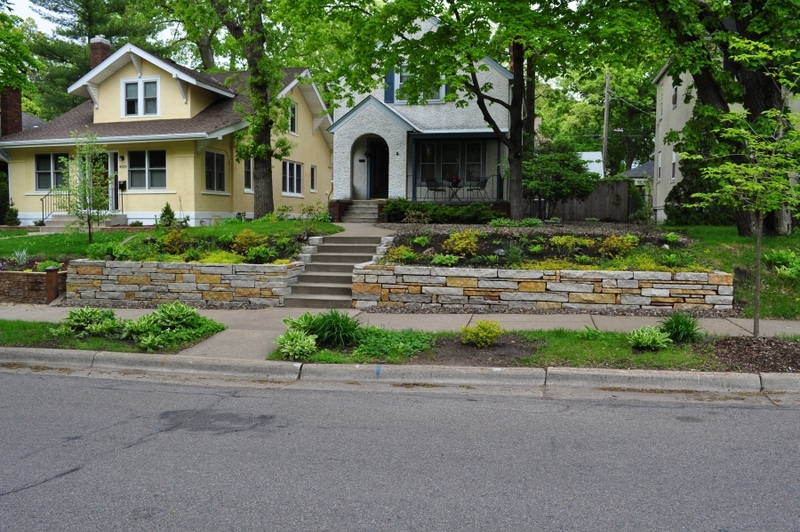 With a stone wall you can add a perimeter or stackable garden beds to your yard. 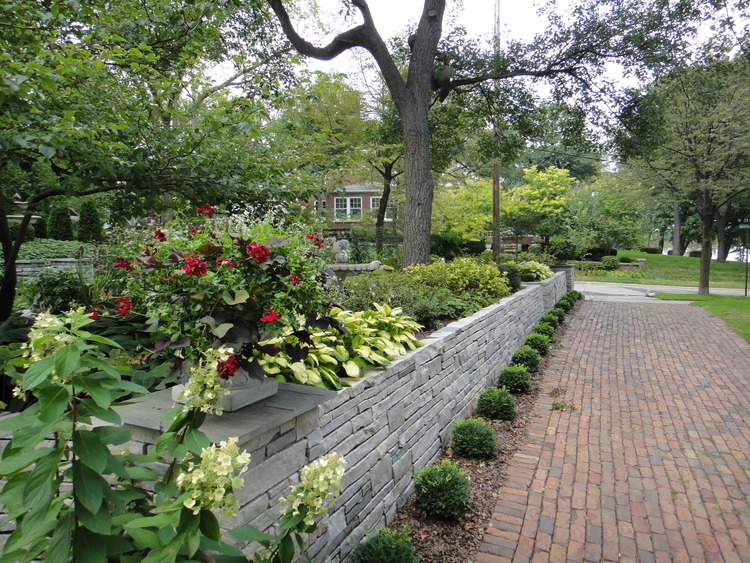 These beautiful feature walls add instant interest and help future homeowners see a clear plan for the landscaping of your yard! A striking set of steps is something that works well for any home. By replacing the dull and drab concrete steps with an interesting set of steps, you can immediately add character and charm to your home. 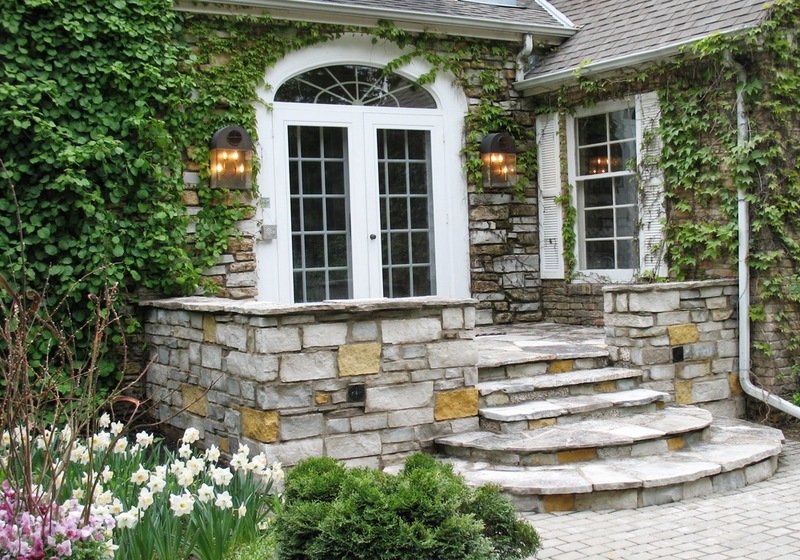 Stone feature pieces are a versatile way to bring natural stone to your home’s exterior. Natural stone veneers, custom address pillars and stone columns are just a few of the many options to add a stone feature piece to your home. If you are looking to add value to your home with a natural stone exterior, click here to start the process today!